May 26, painted by St. Petersburg artists of all ages, cats will drive along with the retro cars around the city and make a stop in the Tauride Garden. Here, the figures of the tailed athletes stand one day. Colorized four-legged within the framework of action "My Love - Football and the Cat", timed to mundialyu. The project calls to be more attentive to animals,in the program including the arrangement of homeless beasts to fans who will come to the North capital at the 2018 World Cup. Also during the action, the city sculptures of cats will be washed away. 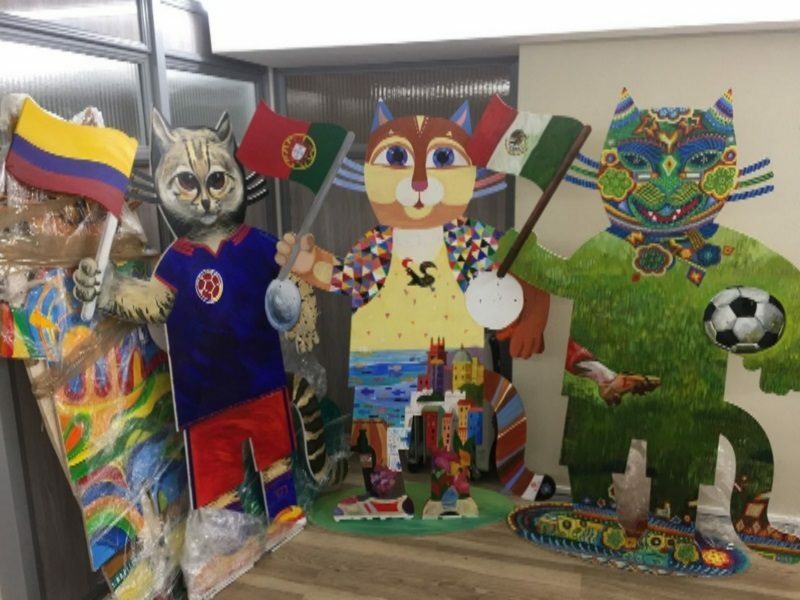 And 32 painted figures can be seen on a special bus - his side will be decorated with images of cats-players.The car will run from June 15 to July 15, the route is not yet known.